Toyota New Car inventory with TSS safety features are now available at Cabe Toyota Scion conveniently located in Long Beach. To learn more about TSS we have gathered the information or if you are ready to find your next Toyota, click on the button below. Additionally, our trained sales staff at Cabe Toyota Scion can answer any questions you may have regarding TSS and the features specific to your Toyota of interest. TSS will be offered in the form of two packages: Toyota Safety Sense™ C (TSS-C) 9 for compact vehicles and Toyota Safety Sense™ P (TSS-P)9 for midsize and large vehicles. 1. MSRP excludes the Delivery, Processing and Handling Fee of $885 for Cars, $960 for Small/Medium Trucks (Sienna, RAV4 Gas, RAV4 Hybrid, Highlander Gas, Highlander Hybrid, 4Runner and Tacoma), $1,195 for Large SUVs (Sequoia, Land Cruiser), and $1,195 for Large Truck (Tundra). (Historically, vehicle manufacturers and distributors have charged a separate fee for processing, handling and delivering vehicles to dealerships. Toyota’s charge for these services is called the “Delivery, Processing and Handling Fee” and is based on the value of the processing, handling and delivery services Toyota provides as well as Toyota’s overall pricing structure. Toyota may make a profit on the Delivery, Processing and Handling Fee.) Excludes taxes, license, title and available or regionally required equipment. The Delivery, Processing and Handling Fee in AL, AR, FL, GA, LA, MS, NC, OK, SC and TX will be higher. Actual dealer price will vary. 6. Lane Departure Alert is designed to read lane markers under certain conditions, and provide visual and audible alerts when lane departure is detected. It is not a collision-avoidance system or a substitute for safe and attentive driving. Effectiveness is dependent on road, weather and vehicle conditions. See Owner’s Manual for additional limitations and details. 7. The Pedestrian Detection system is designed to detect a pedestrian ahead of the vehicle, determine if impact is imminent and help reduce impact speed. It is not a substitute for safe and attentive driving. System effectiveness depends on many factors, such as speed, size and position of pedestrians, and weather, light and road conditions. See Owner’s Manual for additional limitations and details. 8. Automatic High Beams operate at speeds above 25 mph. Factors such as a dirty windshield, weather, lighting and terrain limit effectiveness, requiring the driver to manually operate the high beams. See Owner’s Manual for additional limitations and details. 9. Drivers are responsible for their own safe driving. Always pay attention to your surroundings and drive safely. Depending on the conditions of roads, weather and the vehicle, the system(s) may not work as intended. See Owner’s Manual for additional limitations and details. 10. 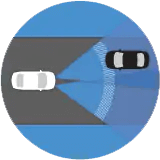 The TSS Pre-Collision System is designed to help avoid or reduce the crash speed and damage in certain frontal collisions only. It is not a substitute for safe and attentive driving. System effectiveness is dependent on road, weather and vehicle conditions. See Owner’s Manual for additional limitations and details. 11. 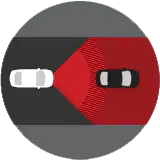 Lane Departure Alert with Steering Assist is designed to read lane markers under certain conditions. It provides a visual and audible alert, and slight steering force when lane departure is detected. It is not a collision-avoidance system or a substitute for safe and attentive driving. Effectiveness is dependent on road, weather and vehicle conditions. See Owner’s Manual for additional limitations and details. 12. 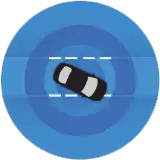 Dynamic Radar Cruise Control is designed to assist the driver and is not a substitute for safe and attentive driving practices. System effectiveness is dependent on road, weather and traffic conditions. See Owner’s Manual for additional limitations and details.